Lawrence S. “Larry” Wiener, age 87, of Bluffton, SC died Tuesday, April 2, 2019 at Benton House. Mr. Wiener was born on September 7, 1931 in Brooklyn, NY, the son of the late Sam and Rebecca “Rae” Wiener. A native of Coney Island, Larry was a graduate of The City College of New York and later earned his MBA from The College of William and Mary. He was a veteran of the United States Navy and was stationed aboard the USS Samuel B. Roberts (DE-413). 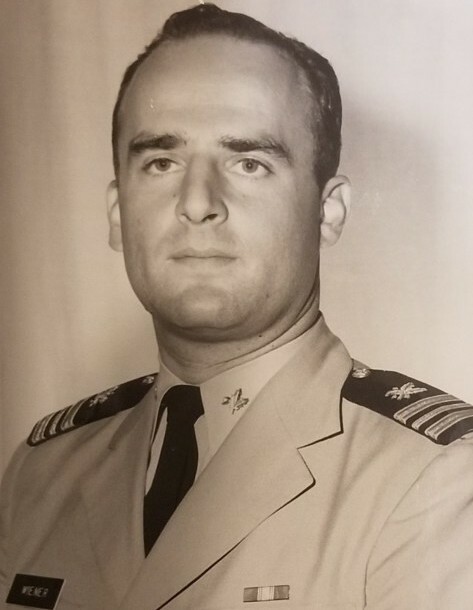 He later served as a Comptroller for the Naval Weapons Station in Yorktown, VA, retiring after 20 years of service. Following his military tenure he worked as the Comptroller for the Community Services Board of Hampton-Newport News, VA. After retiring, Larry became one of the proud original residents of Sun City where he enjoyed playing and teaching tennis. Mr. Wiener is survived by his loving wife of 63 years, Marilyn S. Wiener; son, Eric S. Wiener; beloved daughter-in-law, Lori Wiener; sister-in-law, Ruth Wiener; and granddaughter, Samantha K. Wiener. A funeral service with military honors will take place at Arlington National Cemetery at a later date. In lieu of flowers, remembrances may be made to the Alzheimer’s Association.